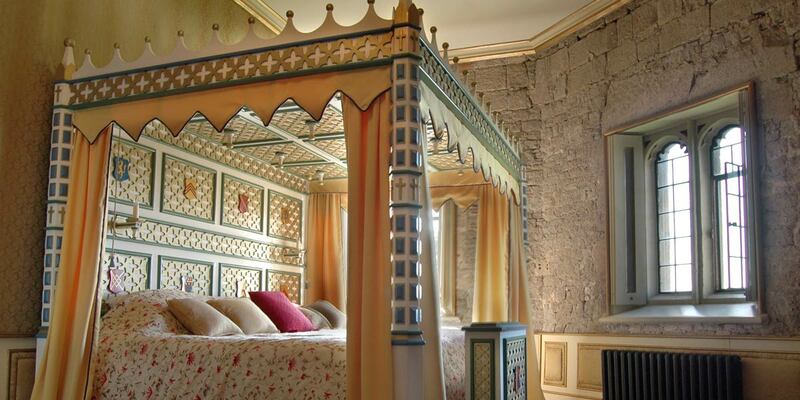 Step back in time at an extraordinary Tudor castle on the edge of the Cotswolds in Gloucestershire. 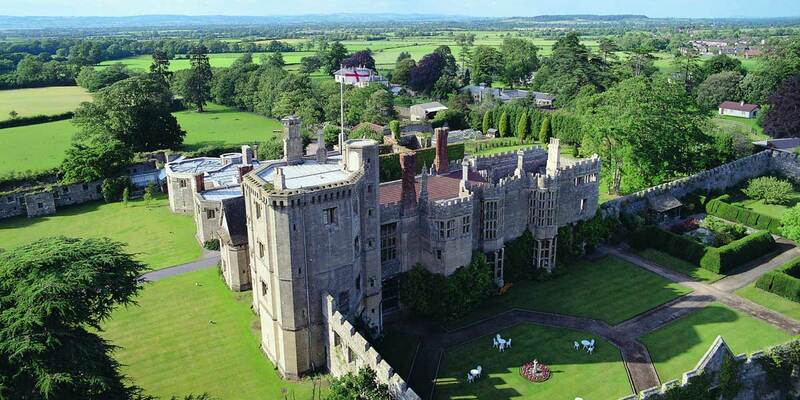 Awe inspiring and steeped in medieval history, Thornbury Castle boasts 26 bedrooms, a walled garden, a Tudor hall with original features, numerous meeting rooms and its own fine dining restaurant. 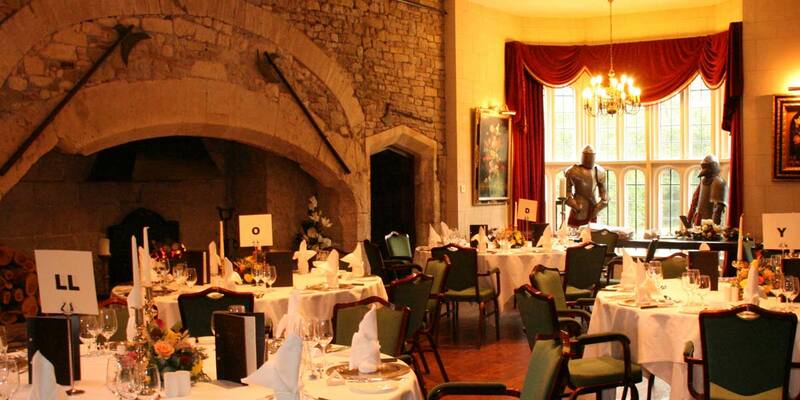 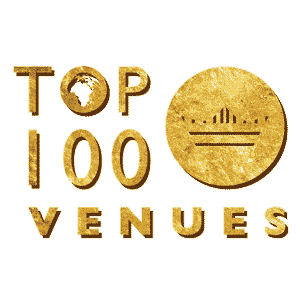 Within easy reach of key transport links and major cities including Bristol and London, the castle offers a variety of fascinating spaces for hosting events. 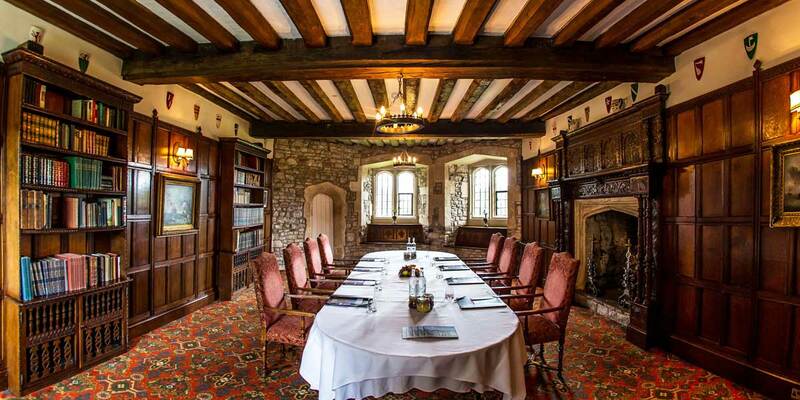 There are a number of flexible meeting spaces, ideal for corporate conferences, seminars or briefings while the striking Tudor Hall is a dramatic setting for Gala Dinners, celebrations and weddings. 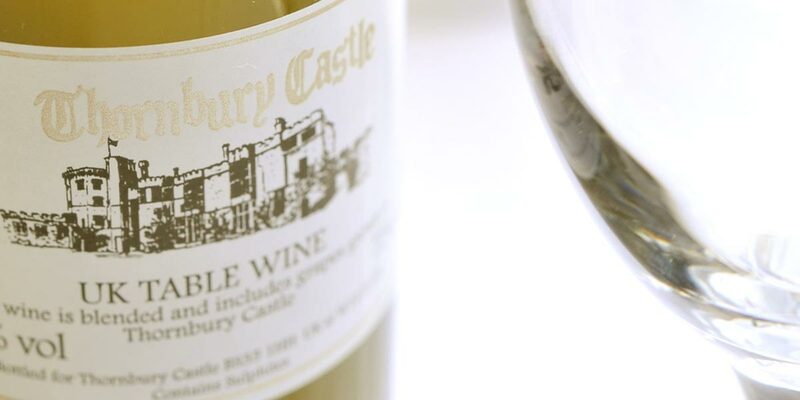 Thornbury Castle on the edge of The Cotswolds has one of the oldest walled Tudor gardens in England as well as its own vineyard. 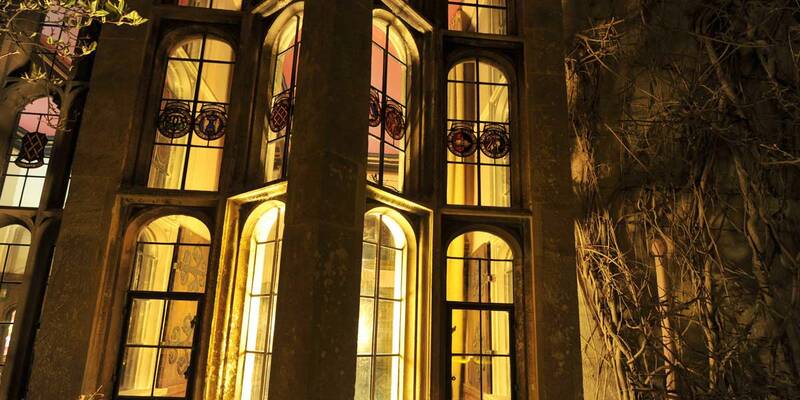 The architectural majesty of the Thornbury Castle event spaces is apparent on arrival, making this the ideal place for hosting an event with impact. 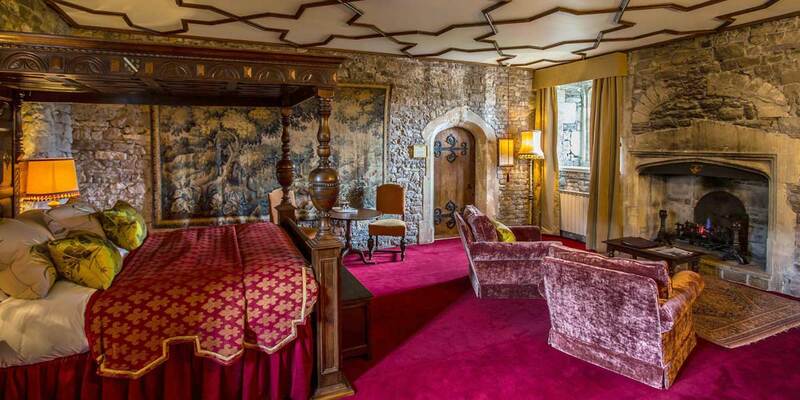 The splendour of the battlements, the giant Tudor chimneys and ornamental Tudor decor are matched by its luxurious period interiors. 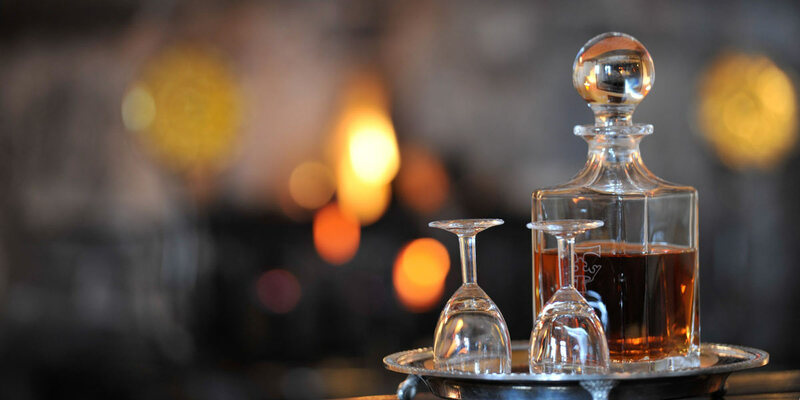 Add to that a fine-dining restaurant that developed its Michelin-starred reputation in the 1970’s, and you have a prestigious hotel that offers everything for the discerning guests at your event. 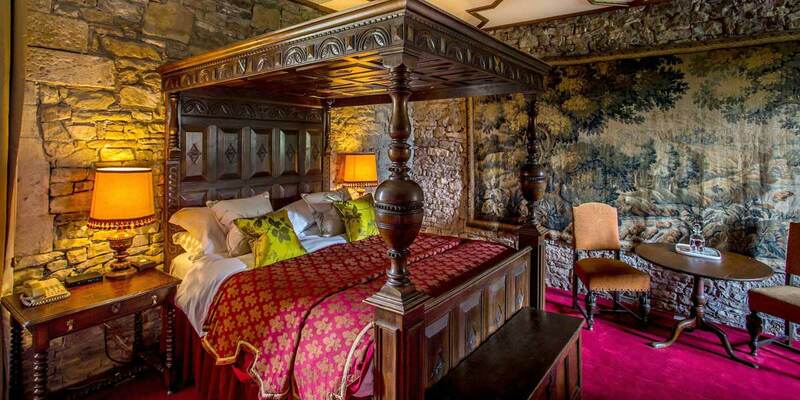 The 26 bedchambers have unique features such as four-poster beds, open fires, stone walls, luxury drapes and original period windows as well as all the modern amenities you’d expect from a 5 star property. 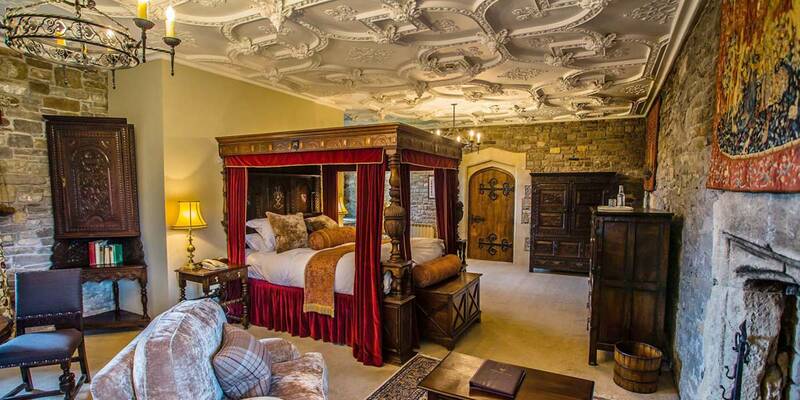 Each room is named after famous figures associated with the castle such as Buckingham (the original owner) Anne Boleyn (who visited during her honeymoon) and Henry VIII (monarch and later castle owner). 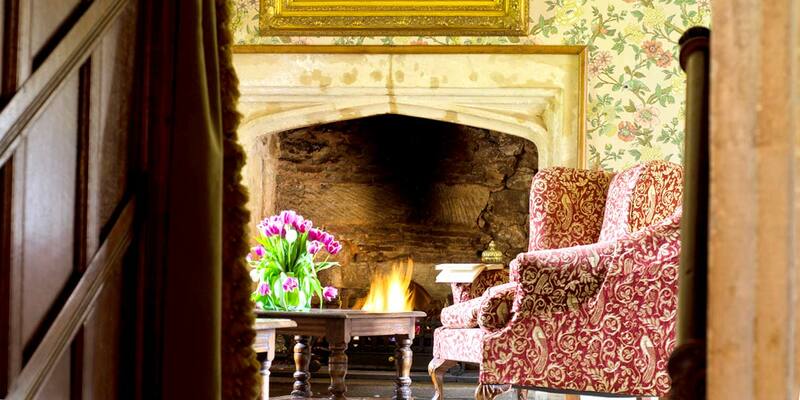 Accessed via a spiral stone staircase, The Superior Suite is where you will find the largest hotel bed in the UK. 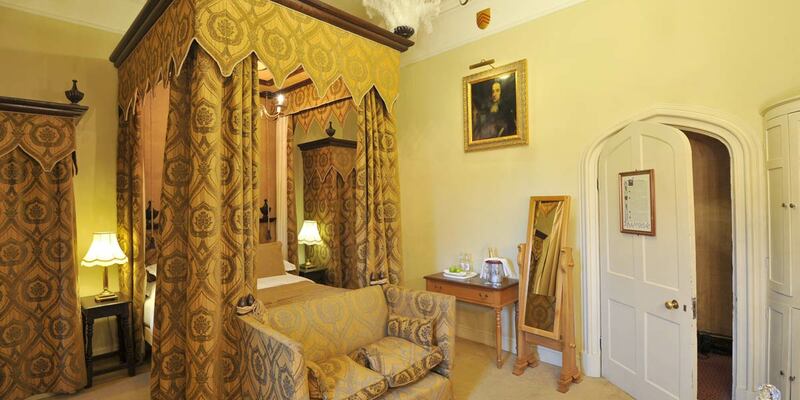 The headpiece is gilded in 24 carat gold, while the luxury bedding is of the finest silk. 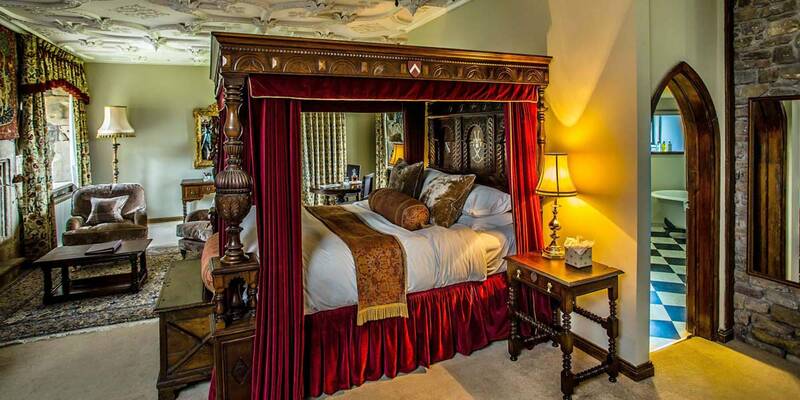 Other rooms feature velvet drapes, ornate carved ceilings and antique tapestries. 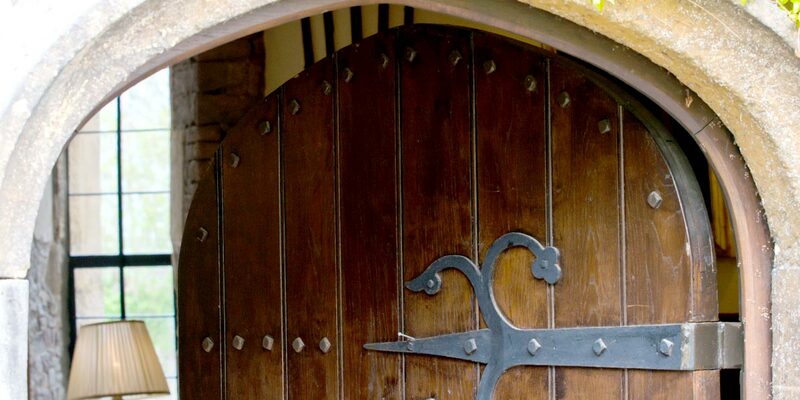 There is also a Gate House on site with two bedrooms, its own lounge, dining room and a full kitchen; perfect for hosting VIP event guests or private business meetings. 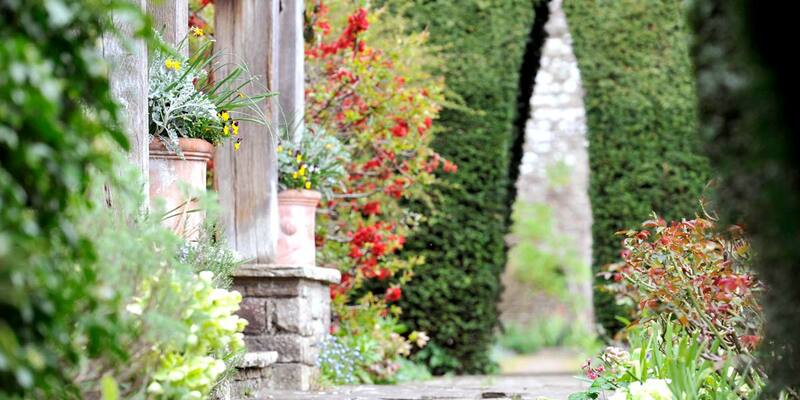 Weddings at the castle are truly spectacular. 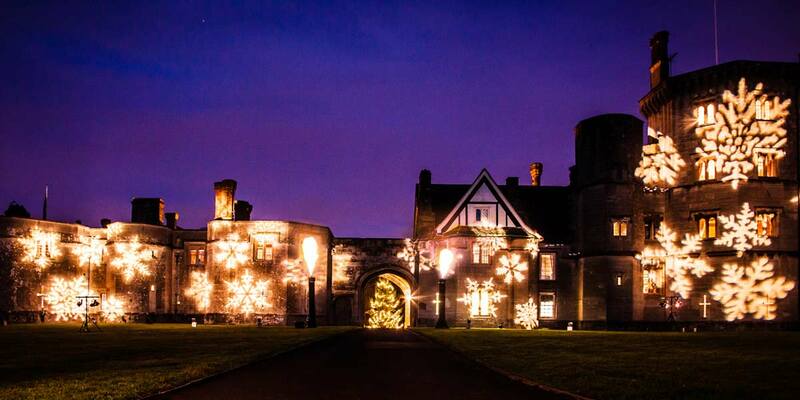 From fairytale pictures set against the castle battlements, to champagne receptions in the castle gardens and candle lit receptions in the Tudor Hall, the castle offers the chance to create something uniquely special. 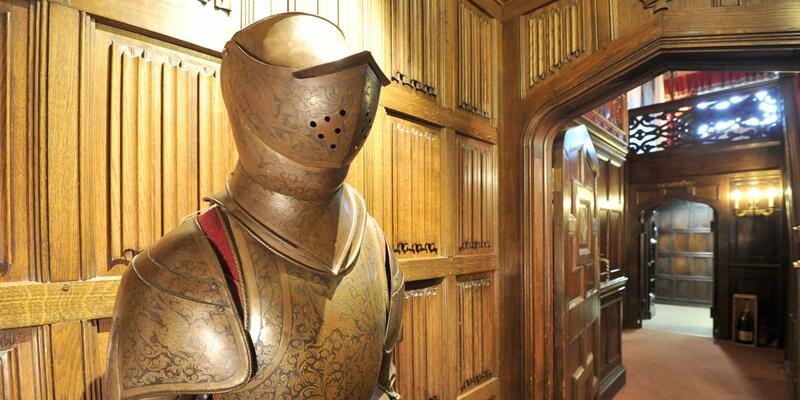 Wedding ceremonies can be held in the Library, Lounge or Tudor Hall – all are licensed. 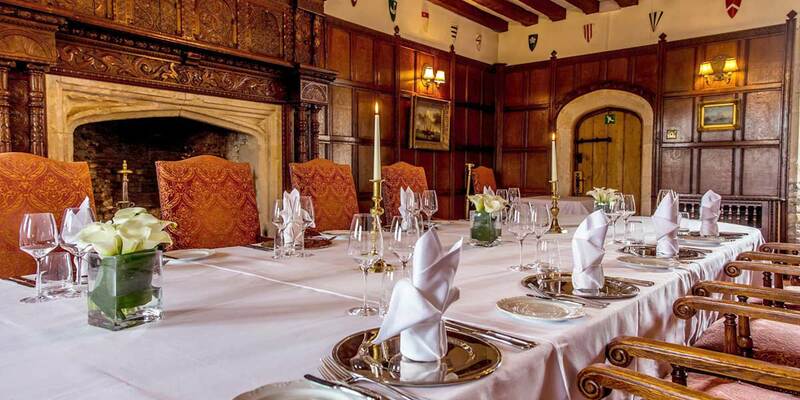 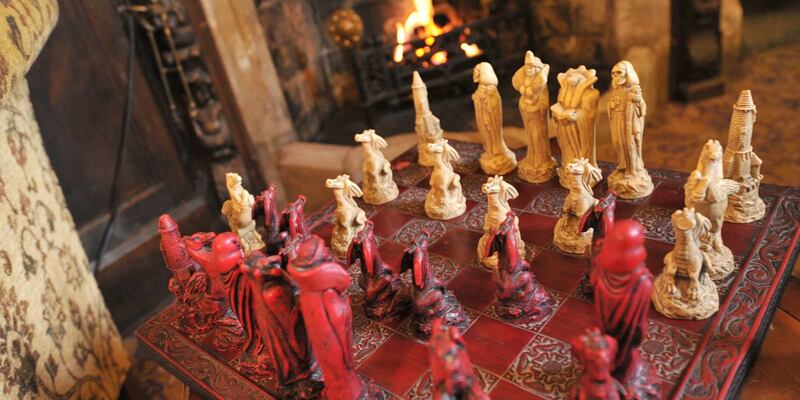 Wedding breakfasts can be hosted in the magical Tudor Hall, accompanied by a roaring fire, medieval band and the finest cuisines prepared by award-winning chef Mark Veale. 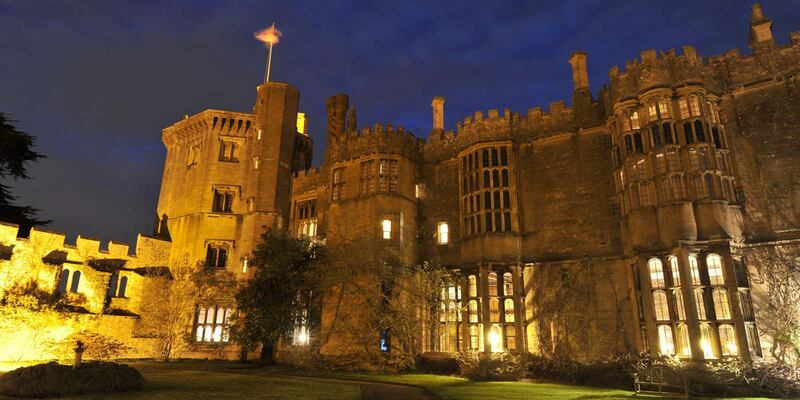 Ideal for a car launch or product launch, the castle has a magnificent drive and curved courtyard at the castle’s interior where cars can be displayed. 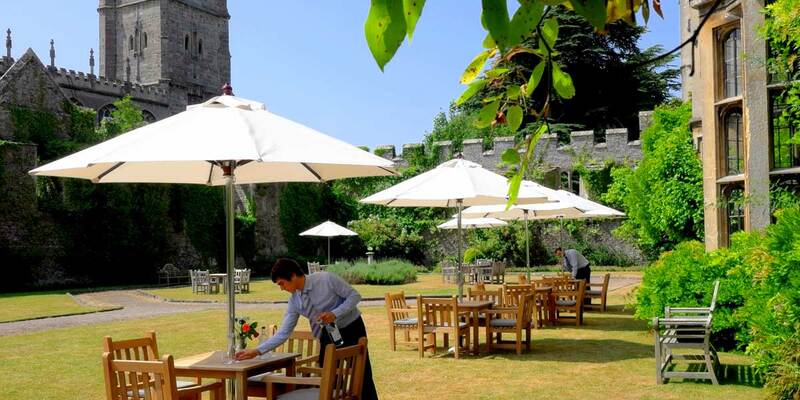 The castle grounds are also perfect for a wide variety of unique events and outdoor activities, including summer parties, drinks receptions or team building events. 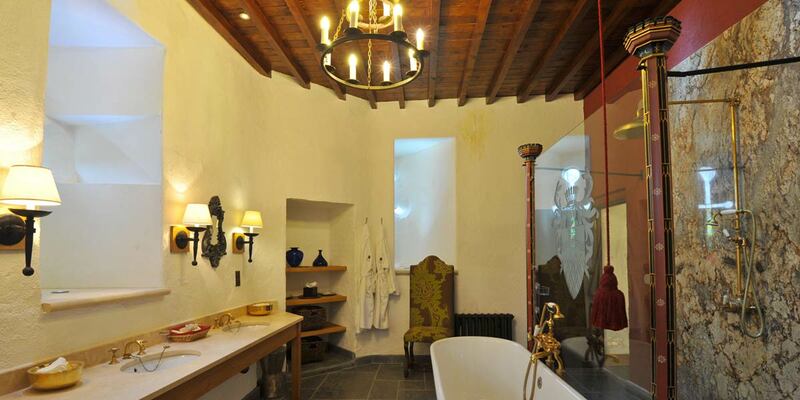 A hidden retreat that combines 500-year-old architecture with luxurious facilities, the castle can be hired exclusively for away days or incentive trips. 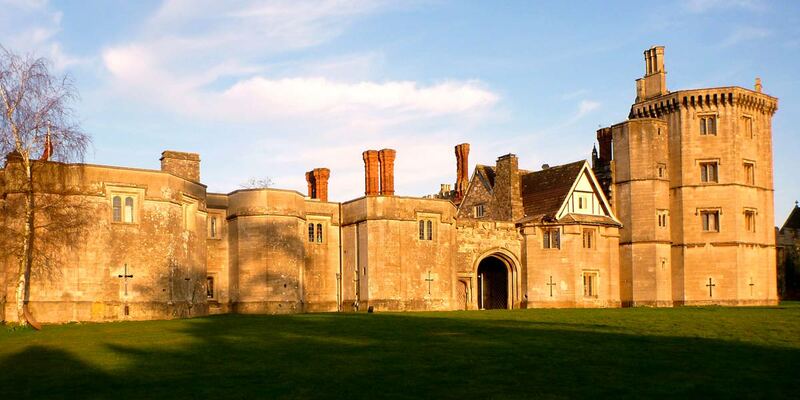 Event attendees will enjoy discovering the hidden secrets of the castle, exploring the manicured grounds and savouring the delicious meals served – Thornbury Castle event spaces are one of Britain’s most prestigious venues.